Factory stands are $2490.00 Light or shiny Dark Grey finishes. Made in Switzerland, the new full aluminum bookshelf Alumine TWO SE speaker combines unparalleled expertise and years of research to bring exceptional sound. Technical development of this Special Edition has been highly inspired by the world acclaimed Alumine FIVE Signature loudspeaker. With Stenheim, rediscover the sense – and sensation – of hearing. Hear the music vibrate and shine as it reveals the musician’s sensitivity and emotion along with the beauty of the composition. At last, listening is infused with a concert atmosphere, the audience’s energy and enthusiasm. Some manufacturers focus on the sensory, others on technology. 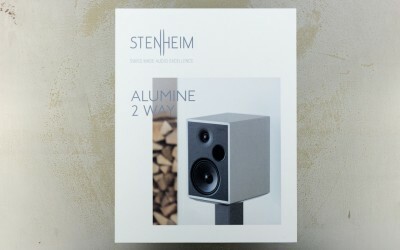 Stenheim’s approach merges the two, because the company understands the relationship between real physical constraints and their impact on the subjective quality of listening. Ignoring the trendy, Stenheim products are built to last. This is why they’ve chosen simple elegance and neutral, rich and clear tones, highlighting the beauty of the music and nothing else. 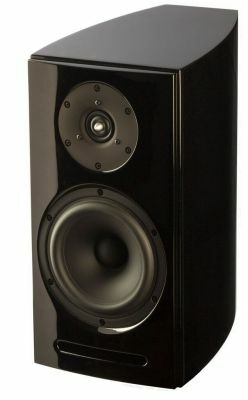 The Alumine represents a substantial deviation from conventional speaker design. With high efficiency, the Alumine permits the use of high quality but lower powered amplifiers. 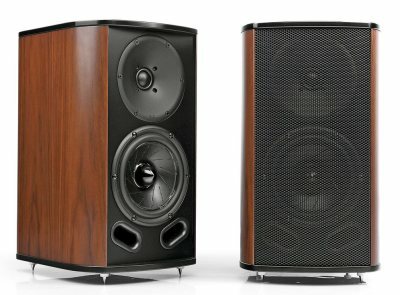 Unparalleled speed combined with beautiful and rich tone elevates Stenheim from all too common audiophile fireworks and overhyped, but ultimately fatiguing designs. With the ability to customize the finish with endless possibilities, aesthetic sentiments are addressed. With no exposed fasteners or screws, our watch industry team has created a fluid and stunning achievement in contemporary speaker design. In an age of obsessive consumerism and product choice, Stenheim believes in pride of ownership and longevity. And while the Alumine manifests this philosophy, it is truly inspired by the passion and love for music. Special finitions on demand : Light shiny Grey, Dark shiny grey, Full Black, Wood veneer (Macassar Ebony, Walnut), Leather veneer (Caramel, dark red), Fall’art concept (unique artwork), Ferrari red, Raw aluminium, etc. 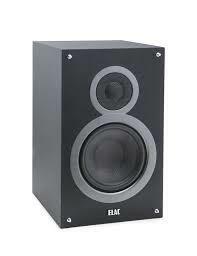 One of our favorite standmount speakers. 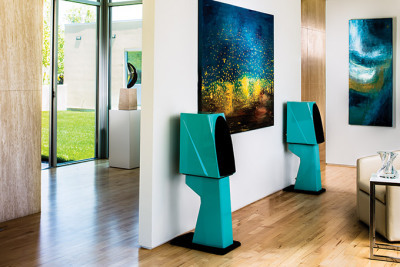 The only WIlson Audio standmount loudspeakers. Designed to go against the wall. One of our favorite standmount speakers ever! We have the last couple of these in stock. Aerials Model 5 T is on demonstration in the store. Probably our favorite budget loudspeaker. A beautiful match for the Technics Premium Class Series. 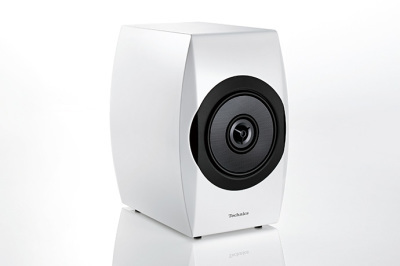 We have special offers on white speakers, and on full system purchases. Buy the speakers and get a Technics Integrated for only $1195.00 with MM Phono Stage. A beautiful looking speaker that has rightly got a lot of attention from the audio press. 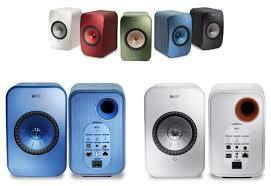 KEF LSX speakers Desktop or small stereo speakers. The LS50 Wireless Music System is a complete and fully active music system. Sharing the same winning acoustic features of KEF’s renowned LS50, LS50 Wireless enables the user to easily enjoy excellent music reproduction, previously only achieved with a system comprised of separate high quality components. Created without compromising on any of LS50's award winning acoustic capabilities, LS50 Wireless adds audiophile-grade amplification and sound processing, as well as extensive connectivity. The LS50 Wireless features Tidal Streaming, is a Roon endpoint providing the ultimate in flexibility and connectivity, and is compatible with all music streaming services. Spotify ROON TIDAL Qobuz ready. 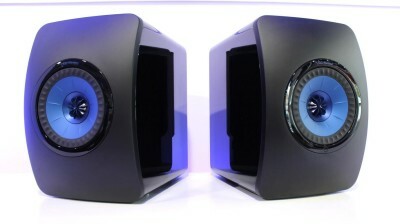 ​The hugely popular speaker designed by Andrew Jones.